This entry was posted on November 30, 2017 by Matthew Dingwall. The rapid development of LED lighting means that there is now a huge variety of products available for consumers. Sorting through all of the options can be confusing, so we've put together an exhaustive guide to picking LED light bulbs. You can click on the Contents menu below to jump to a particular point in the guide; clicking on any of the sub-headers further down will return you to the top of the page. Thanks to LED technology, lighting is becoming more of a conscious design choice in homes, rather than just the utility it has always been. With all kinds of LED lighting now available, from LED strip lights to vintage-effect LED light bulbs, you can now make sure your lighting is as stylish as the rest of your home. Hallways are one of the most overlooked rooms in a house, yet often one of the most important. In many buildings, the hallway is often the first room you step into upon entering, so whether it's to make a good impression with visitors, or to create a lovely 'welcome home' feeling, it's crucial that you get the lighting right. The type of LED lighting you choose will largely depend on how much traffic the hallway gets, and what you normally use it for. If it's a busy hub of activity when you're on the way out of the house with the family for example, you will want a cool, bright white light to be able to see what you're doing clearly. In these cases, avoid low-hanging pendants and chandeliers, as they are not worth the bumped heads and broken bulbs. Instead, choose an LED downlight, which will provide a crisp, bright light, but which is recessed into the ceiling, preventing any knocks. If your home has a larger hallway or reception space, you have a bit more choice. Modern drop pendants and more traditional chandelier-style fittings can add a touch of style to any room. In these cases, a warmer white light bulb will create a really cosy atmosphere the moment you walk through the door. If you have a light fitting with exposed bulbs, a decorative LED candle will help it retain its elegance. As with hallways, you want to avoid low-hanging light fittings on staircases and landings. These could cause more than a bump if they knock someone off-balance at the wrong moment. Again, if you have the option to install recessed lighting, a set of downlights running up the stairs will provide a safe, discreet source of lighting. Wall lights are also a good option, as long as your staircase isn't too narrow. Smaller bulbs, like LED candles and golf balls, are perfect for these types of fittings. If you want to get fancy, add some decorative LED lighting to exposed staircases by running LED strip lights along the inside edges of the stairs (make sure that their placement won't present a hazard). During festive periods or other celebrations, banisters are a great place to add some warm white or coloured fairy lights. Of all the rooms in your home, lighting is most important to the living room. Regardless of what you use your living room for, or how often you use it, mismatched lighting can ruin the atmosphere and turn a room into a bit of an eyesore. If you're going for a traditional, cosy look in your living room, you can't go far wrong with some subtle, warm white lights. Chances are, there is more than one light source in your living room, so if possible, match up the colour temperatures of each (for more information on colour temperatures, see here). A desk lamp that has a cool white bulb in it might look at odds with a warm white ceiling light. Avoid harsh, glaring spotlights on areas used for relaxing, and instead choose a light fitting or shade that creates a softer, more diffuse light. 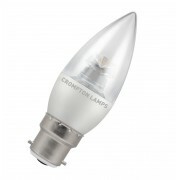 Bulbs with a pearl or opal finish will have a similar effect. Once more, flexible LED strip lights provide a great way of adding some further accent lighting to your living room. They look great when applied along shelves and cabinets, and will really make displays stand out. You can even stick them to the back of your television for some effective, low-cost backlighting. The kitchen is often one of the busiest rooms in the home, and one where clear, bright LED lighting is important for being able to see what you're doing. For this reason, in many kitchens you will find ceiling spotlights and downlights that cast a focussed beam of light onto workspaces and busy areas. If you do spend plenty of time cooking, cool white light bulbs are a must. 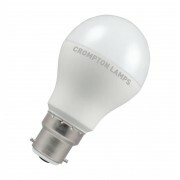 The GU10 is one of the most common bulbs used in kitchens, and many light fittings will readily accept GU10 bulbs. 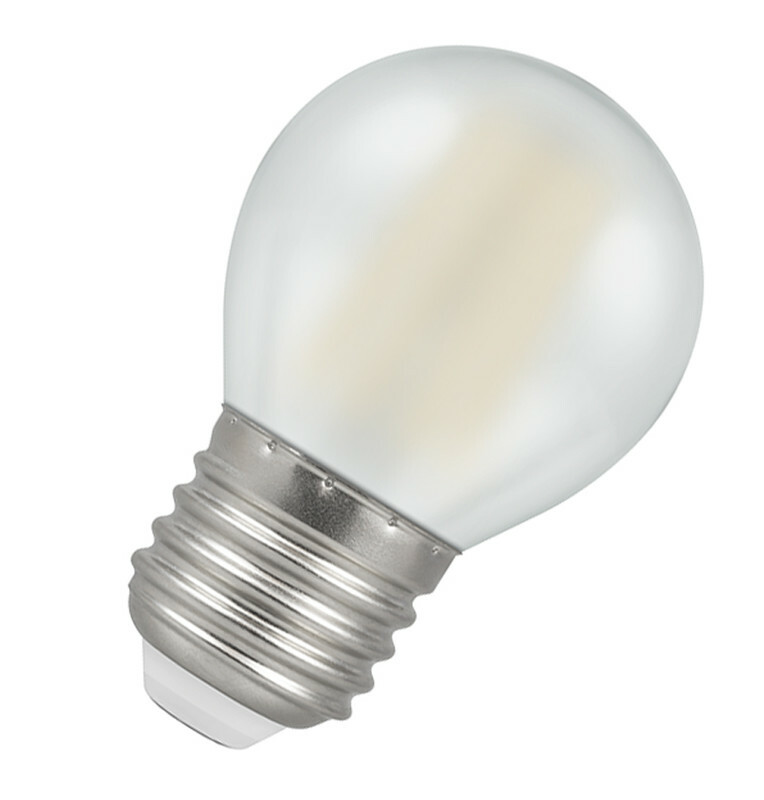 This type of bulb is good because it emits a much narrower beam of light (referred to as the beam angle). As a result, they are sometimes known as 'directional' sources of light. Cooker hoods and kitchen cabinets with integrated lighting will often use capsule light bulbs. 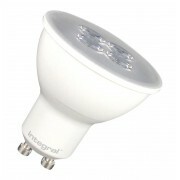 While these have traditionally been halogen bulbs, you can now find energy efficient LED alternatives. If you're not sure how to replace the bulbs in an integrated fitting we would advise you to consult a qualified electrician. Don't let this put you off; it's definitely worth upgrading to LED bulbs, thanks to their long life and energy efficiency. The last thing you want in a bedroom is a harsh, cold white light that will hinder relaxation and potentially disrupt sleep. For this reason, it's best to avoid cool white bulbs in bedrooms, and stay away from daylight bulbs (those with a colour temperature of 6500K) entirely. These bulbs would emit a very blue-looking light that is not at all relaxing. Instead, choose warm white LED light bulbs for the bedroom. Most bedrooms will have more than one lighting source, which gives you a lot more flexibility in designing the lighting setup. A good idea is to use softer bulbs with a lower lumens output for table or desk lamps, and then a brighter bulb in your main ceiling fixture. Dimmable light bulbs are the most versatile, as they allow you to adjust the brightness to suit your needs. Night lights are also a great idea for bedrooms and landings, as they allow you to see where what you're doing, but they are not bright enough to disturb other sleepers. Motion-sensitive night lights are perfect, as they will only activate when they need to. IP rated lights are essential for wet and humid areas such as bathrooms (for more information about IP ratings and bathroom zones, see here). Lights without an IP rating could stop functioning correctly and could cause a hazard when exposed to wet conditions. Cool white LED lighting is a common choice for bathroom lighting, as it suits the bright, sharp surroundings. A recessed, IP-rated downlight will provide crisp, unobtrusive lighting and is fine to use in a wet room. Don't forget about shaver/mirror lights and replacement bulbs. LED capsules are most commonly used in these types of fittings, but LED push fit bulbs might also be used in some larger light fittings. Both are easy to install, but make sure to check which type you need before buying. Our handy guide to light bulb cap types will help you. Bright, reliable, lighting is a must in dark spaces like lofts and attics. You might be a little restricted on what type of lighting you can install, though. If you just have a simple ceiling cord, an LED bulb with an opal or pearl finish will soften the glare a little without sacrificing too much brightness. Colour temperature is secondary to brightness on this ocassion, so if possible, pick a higher wattage bulb with a good lumens count. The last thing you want to be doing is stumbling around a part-boarded loft in the gloom. If you want to get creative, apply LED strip lights to the edges of the boarded areas to show exactly where you can step. Of all the rooms in a home, a games room allows you to be really creative with your lighting. The lights you use may largely depend on what you use the room for, however. If you have a pool/snooker table, for example, you will want bright, directional LED light bulbs shining down on it. LED downlights and spotlights are ideal for this, particularly the latter, which would be easy to replace should the bulb ever stop working (although, with LED lights, this should be rare). If you have a room for PC/console gaming, on the other hand, dimmer lighting is a must. Fit a dimmer switch and compatible LED light bulbs so you can set the brightness of the room exactly. Coloured and colour-changing LED lights allow for some real personalisation. Fix colour-changing LED strip lights to desks, skirting boards or the back of televisions and monitors to turn a room into a gamer's paradise. A study can at once be a place of work and a place of sanctuary in busy homes, so pick LED lighting to suit. A dimmable LED ceiling light is a great idea in this case, as you can adjust the brightness of the room to suit the mood. Whether you pick a cool white or warm white bulb should depend on how much of the room will be used for work or studying, and how much for relaxation. A cool white light is more stimulating, so is better suited to rooms that are primarily used for work (if you work from home, for instance). Pair your ceiling light with a bright, warm white desk light, ideal for providing some additional task lighting. If, like us, you use your garage for storage as well as parking your car, you might know how difficult it can be sifting through boxes in the dark to find what you're looking for. Installing bright LED lighting makes things so much easier. Depending on the fitting you have, you might be limited in what you can install, so focus your search on cool white bulbs/fittings with a high lumens count. If you are able to fit them, surface mounted LED lights are bright and often have a very wide beam angle, meaning they will illuminate a lot of space. You can even find motion-sensitive ones, so you won't need to grasp around in the dark for a light switch. If your garage isn't wired to the mains, you can always put a battery-powered LED worklight in there. They're bright, mobile and often IP65 rated, meaning that they won't be damaged if left in damp conditions. For security purposes, an LED floodlight is a must. Our guide to picking the perfect floodlight will give you all the information you need to purchase confidently. Those with motion sensors and 'dusk-till-dawn' sensors provide more sophisticated ways of protecting your home and garden. The right lighting is essential for keeping an office running smoothly. Covering everything from general lighting to fire-safe lighting and emergency lighting, there are a number of different options to consider when installing LED lighting in an office space. It can even have a big effect on the health and wellbeing of those working within it. Our guide will help organisations make the right choices when it comes to LED lighting. Making visitors feel comfortable is one important factor to consider when installing LED lighting in a reception area. Warm white lighting is welcoming, but is not as good at creating a dynamic, stimulating environment. Cool white lighting with a wide beam angle (upwards of 100°) offers a happy medium, as the glare won't be too unwelcoming, but the light will still be nice and bright. A stylish surface mounted LED light fitting can even add something to the look of a room. If you have a windowless reception, you might want to consider installing some full spectrum lighting. This type of lighting has been shown to mitigate the effects of Seasonal Affective Disorder (more information on SAD can be found here), ensuring that the health and productivity of employees is protected. Safety is paramount when illuminating corridors and stairwells in commercial spaces. Integrated LED light fittings provide a bright, reliable source of lighting, provided they are compatible with your premises. Integrated LED panels offer excellent lumens-to-watt ratios, benefitting a business with some real cost savings, while not compromising on brightness. If you cannot install integrated fixtures, you can find a wide range of surface mounted LED light fittings that do much the same job. These are slightly more versatile, as many can be fitted to most positions on ceilings or walls, rather than being restricted to certain ceiling panels. Once you have chosen between a surface mounted or integrated fitting, there are certain safety measures to consider. Firesafe fittings (those that have been tested to rigorous fire safety standards) help prevent the spread of fire, therefore helping to protect a building and its occupants. In the event of a power outage, a light fitting with an integrated emergency driver would continue to function on a backup battery, providing extra safety in the case of an evacuation. This is one area where LED lighting is a real benefit, as it is cheaper to operate than traditional lighting, but it offers a bright, long-lasting light source that will help keep a building and its occupants safe. One of the biggest challenges for lighting an office space is determining how many lights you need to install, or more specifically, how many lumens are needed to light the space. A commonly used rule is to allow 20 lumens per square foot for general lighting purposes. For task lighting, look for 40-50 lumens per square foot. For example, a small office space measuring 200 square feet would need around 4000 lumens of light to be sufficiently illuminated. This roughly equates to two high-output LED panels or four 13-watt downlights. Please note, however, that the perceived brightness of a room can be affected by decor and furnishings, so applying this rule to rooms with a darker finish may yield different results to a modern, all-white space. Cool white LED lighting will create a brighter, more stimulating atmosphere, so is often a good choice for office spaces. If it is a windowless office, you might want to consider installing some full spectrum lighting. This type of lighting has been shown to mitigate the effects of Seasonal Affective Disorder (more information on SAD can be found here), ensuring that the health and productivity of employees is protected. The 20 lumens per square foot rule can be applied to office spaces of any size. Larger spaces will obviously require many more light fixtures to be sufficiently illuminated, and on this scale, cost can be a big influence on the type of lighting chosen. The long-term cost savings that LED lighting provides is one of its biggest advantages: you get better quality lighting that uses much less energy. Retrofit lights are designed to be able to directly replace traditional lighting sources, minimising the cost and disruption involved in replacing them. Again, integrated LED panels offer outstanding lumens to watt ratios, reducing energy costs without compromising on lighting quality. They also do not flicker like some fluorescent tubes and panels, which is a common source of discomfort for those working in offices. Integrated LED battens offer a similar level of efficiency, and if you're upgrading from fluorescent tube lights, they will not drastically alter the look of a space. They can also be surface mounted, making them perfect for offices without drop ceilings. Some models now feature integrated emergency drivers, allowing them to continue to function in the event of a power outage. Keeping meeting rooms bright can play a big part in the productivity of meetings conducted within them. Alleviate afternoon slumps in energy by keeping meeting rooms lit with bright, directional LED lighting. Recessed LED downlights are perfect for this as they will keep the room nice and bright without shining too harshly into the eyes of its occupants. If you stick to high-lumen LED lighting, you can be a little more flexible with the colour temperature, as the brightness will counterbalance some of the mood-setting effects of certain colour temperatures. For smaller spaces like meeting rooms, the low operating temperature of LED lighting can be a real benefit, as it will not affect the ambient temperature, which could be the case for incandescent lighting. Kitchens and eating areas in offices should be kept well-lit at all times, for the safety of employees using the facilities. Cool, bright white spotlights are ideal for this purpose as they are a directional source of light, meaning you can install them to illuminate specific areas or surfaces. Depending on the size of the space, ensure that additional lighting is installed to provide enough ambient light in surrounding areas. While spotlights are excellent at lighting specific areas, they could potentially leave more distant points in the gloom. Firesafe downlights are also a good choice, as they will help to prevent the spread of fire should any accidents happen in the kitchen. Adequate outdoor lighting is imperative to preserving the safety and security of employees, customers, visitors, and the local community. As car parks are a prime target for criminals, ensuring that all areas are well-lit at all times is a must. External car parks are often lit by powerful halogen floodlights, for which you can now find a direct LED alternative. These offer huge energy savings as they use only a fraction of the power but offer the same brightness as halogen lamps. Place lights to maximise coverage and eliminate shadows as much as possible. Light pollution can be an issue when installing powerful external lights; local authorities will have their own guidelines on the issue of light pollution, so consult them before installation to avoid any unnecessary disruption. British Parking offer some guidelines on implementing lighting in indoor/multi-storey car parks, including distributing artificial light sources to eliminate shadows, using lighting with high colour reproduction to ensure better quality CCTV footage, and protecting lighting cables, fixtures and service boxes from intentional damage. Painting walls and roofs white can significantly reduce the amount of lighting needed to illuminate a car park. In commercial spaces where heavy machinery and goods are regularly moved around, adequate lighting is one of the most important factors in preserving the health and safety of workers. Warehouses and factories can be very large, open spaces, so need a lot of bright, high-output lighting. LED lighting is ideal for this purpose, as it offers the same brightness as traditional lighting, but uses only a fraction of the energy. A commonly used rule is to allow 20 lumens per square foot for general lighting purposes. For task lighting, look for 40-50 lumens per square foot. For example, a small office space measuring 200 square feet would need around 4000 lumens of light to be sufficiently illuminated. This roughly equates to two high-output LED panels or four 13-watt downlights. Please note, however, that the perceived brightness of a room can be affected by decor and furnishings, so applying this rule to rooms with a darker finish may yield different results to a modern, all-white space. LED high bay lights provide one of the brightest, most energy efficient means of illuminating large commercial spaces like warehouses. They are designed for installation on high ceilings, with wide beam angles to light a large area at once. Aiming for 50 lumens per square foot should provide adequate lighting levels for manual pick warehouses; less may suffice for those with automated picking, although any warehouse operatives/engineers that do work in that space will still need enough light to work by. This guide from lighting magazine Lux Review goes into more detail about the ideal layouts and considerations for lighting a warehouse, including using dedicated aisle lighting and utilising skylights to reduce the amount of artificial light needed. LED site lights and rechargeable worklights are vital for keeping a construction site operating smoothly during periods of low light. The biggest benefit of lights like these is their portability. They are easy to transport, and can be quickly redeployed as needed on different areas of a site. Rechargeable worklights are even more convenient, as you don't need to connect them to a generator to power them. Many LED worklights now offer 8-10 hours of illumination from a single charge, making them a bright, reliable choice of lighting for busy work areas. Warehouse loading bays should be well-lit inside and out to help ensure worker safety when vehicles and heavy goods are being moved in and out. While external floodlights offer a bright, efficient source of lighting, be careful on their placement, as they could dazzle drivers as they back their vehicles into the bay. If using these lights, ensure that they're pointing downwards towards the floor of the loading bay. LED bulkheads offer a viable alternative, as they often have a wider beam angle and are built with integrated diffusers to soften the light. They are surface mountable, so are easy to install, and are suitable for indoor and outdoor lighting. Alternatively, for indoor lighting, LED high bay lights offer a bright light with a suitably wide beam angle. Adequate outdoor lighting is imperative to preserving the safety and security of employees, customers, visitors, and the local community. As car parks and yards with expensive equipment are a prime target for criminals, ensuring that all areas are well-lit at all times is a must. Retail spaces can take full advantage of the versatility that LED lighting offers. LED track lights offer focussed, adjustable lighting to make the most of products and retail displays, while coloured and colour-changing LED lights can help to create a dynamic, eye-catching space. The right lighting can really improve the look and feel of a shop floor and can even affect brand perception and product performance. Bright, directional spotlights are commonly used in retail spaces, as they can be directed to focus on specific products or areas of the shop floor. LED track lights offer the most flexibility, as their location is only restricted by the track to which they are linked. Many track lights have adjustable swivelling heads, which means that you can highlight your best products no matter where they are on the shop floor. You can now even find mini track lights that attach to their tracks magnetically, which means that their position can be adjusted in an instant. Relying on spotlights alone might not always be enough to light a shop floor, however, as the areas they don't focus on could be left in the dark. LED downlights and surface mounted bulkheads are a good option for some additional fill lighting, or alternatively, vintage LED globe bulbs will add a touch of style to any space while providing a bright, non-directional light source. Finally, coloured and colour-changing LED lighting is a great way to add some character to a retail space. Some 'smart' lights allow you to set the colour of the lights directly from your phone, giving you a great opportunity for customisation. For example, you could announce new collections or product lines with different coloured lighting, or tune the lights through the year to match the changing seasons, all with a quick swipe on a smartphone or tablet. In addition to bright, focussed lighting, good display lighting might often need to ensure that the colours under its beam are reproduced as accurately as possible. In these cases, the CRI (Colour Rendering Index) value of a bulb or fitting is important. Measured on a scale of 0-100, CRI denotes how accurately a lighting source shows the true colours of the objects it illuminates. A CRI of 100 denotes perfect colour reproduction. This will be important in places like art galleries, photography studios, and jewellers, where it is vital that the colours of individual pieces are accurately illuminated. The best LED lighting currently has a CRI rating of >95 to >97, which means near perfect colour reproduction. Some track lights offer this level of clarity, and there is now a wide range of LED spotlights that also have a high CRI rating. Whether it's a back office or a break room, keeping staff areas appropriately lit is just as important as the lighting on a shop floor. A cool white LED downlight or ceiling light is sufficient for small rooms, while staff areas in larger organisations (canteens and restaurants, for example), would benefit from some higher powered lighting. If the space already has fluorescent tube fixtures installed, you can upgrade to retrofit LED tubes easily. Surface mounted battens offer a good alternative, with good lumens per watt ratios and wide beam angles, helping to minimise the number of fittings needed. Shop signage is one of the most basic ways of advertising your business, so it should always stand out and look professional. LED lighting can help with that. Besides using it to make your window displays look their best (see Shopfloor Lighting), judicious use of LED lighting can make the whole shop stand out against its competitors. If you have the space on the walls of your shopfront, install LED wall washers to cast a soft, attractive beam of light across the surface. Not only will they make your shop stand out against its neighbours, they can also do a great job of illuminating your signage. If you already have illuminated signage, make sure to replace faulty bulbs as soon as they appear. Sloppy signage can deter potential customers, and council authorities may not take a kind view if they deem it to affect the character or perception of a local area. Tackling the problem upfront can save headaches in the future, and it is easy with LED lighting. If your shopfront has some outside space, make the most of it with some simple decorative touches. LED Wall Washers will cast an attractive glow across surfaces, and will help to make a store look more inviting. Don't neglect to add some tasteful seasonal lighting too when the time comes. Adding some string lights to trees or outdoor planters will get customers into the festive spirit. Lighting plays a huge part in setting the right atmosphere in hospitality environments, whether it's a bar, restaurant or hotel. It is also crucial to get right to ensure the safety of those who working in these spaces. While it might seem like a big task, there is an LED lighting solution to suit every need. Lighting is as much a design choice in bars as it is a practical utility (if not more so), and is very much tied into the brand identity of a particular location. As such, one lighting choice will not suit all. LED downlights and spotlights will create a bright, energised atmosphere and are a good choice if you want your light fittings to be unobtrusive but effective. There are a number of options if the opposite is the case, and the lighting itself is intended to add to the style of a bar area. Vintage-effect LED light bulbs can be hung without a shade for a retro look, or paired with matching copper shades and lamps. There is a wide variety of coloured and colour-changing LED lighting available to suit bars. LED strip lights are versatile and easy to install; simply stick them on or underneath the bar, along cabinets and shelves, or around the perimeter of the ceiling for some effective, eye-catching accent lighting. Coloured spotlights and colour-changing smart downlights will create a similar atmosphere and work well in bars that have a lower overall light level. A restaurant's lighting is crucial to creating the right atmosphere for diners, and finding the right balance between brightness and mood can be one of the biggest challenges. It can have a big effect on the dining experience and brand identity of a restaurant, and these considerations should be made before installation of any new light fittings. A restaurant's layout will largely determine lighting requirements. Large and widely spaced tables and booths might benefit from dedicated light fixtures, such as a stylish pendant light or vintage-effect LED filament light bulbs. Ensure that the light is bright enough for diners to see their food clearly, but does not cause to much glare. Smaller, closely spaced tables won't need lighting individually, but the same rules apply otherwise. Evenly spaced light fittings look neater and more effective than those that are randomly placed. For restaurants, where the aim is to create a welcoming, relaxed atmosphere, warm white lighting is more effective. Softer lights can be used around entrances and greeting areas to enhance this welcoming feeling. Wall lights and table lamps with warm white bulbs are great for this if there is an appropriate surface on which to place them. Commonly lit by fluorescent strip lights, commercial kitchens could benefit from the energy saving potential of LED tubes. They are designed to retrofit to existing fluorescent tube fixtures, so the cost and disruption of upgrading would be minimal. In the long-term, LED lighting provides real cost savings over traditional forms of lighting. 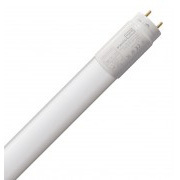 There are several different types of LED tube, but the two most common are T5 and T8 tubes. The differences between the two are small but important, and mainly determine what sort of fittings the respective tubes can be installed in. Standard T8 tubes use a G13 fitting, with 13mm between the pins on the cap, while T5 tubes carry a G5 fitting, with 5mm between the pins. Before buying LED tubes, be sure to check your current fittings and tubes to determine which type you need. Cool white colour temperatures (upwards of 4000K) are almost always more suited to busy workspaces like kitchens, offering a clarity and crispness of light that not all warm white lighting can reproduce. Keep kitchens brightly lit by installing enough LED lighting to provide around 50 lumens per square foot. Note: Infrared heat lamps and ultraviolet fly killers do not have an LED alternative, but are still important in many kitchens. We've provided some suggestions below as to which lamps to use for these purposes. Warm white lighting will create a welcoming feel in hotel foyers and set the tone for the rest of a guest's stay. The exact light fittings will depend on the style of the hotel: warm white downlights and wall lights will suit more modern spaces, while more traditional hotels might benefit from classic-looking light fittings and floor lamps. Where the light bulbs themselves will be on display (in chandelier fittings, for example) use stylish decorative candle bulbs to maintain the look and feel of the space. Finally, some brighter spotlighting may be necessary for work areas such as reception desks and offices. If possible, integrating lighting into the furnishings will provide the necessary task lighting but won't impinge on the overall style of the space. 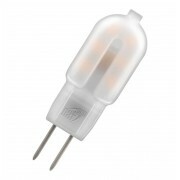 Small LED capsule bulbs are ideal for creating bright but focussed lighting. The installation of corridor lighting can be a big expense for larger hotels, due to the amount of space that needs to be illuminated. Maintaining the welcoming feel of the hotel is still important at this stage, so warm white lighting is still the better option. Existing wall and ceiling lights would benefit from LED light bulbs as they should last for many years before they need replacing. Using integrated LED light fittings, there are ways of making lighting more efficient and preserving energy in spaces like this. For example, some LED light fittings feature integrated motion sensors, so they will activate when they detect a presence, but will remain inactive when they're not needed. In spaces like hotel corridors and stairwells, where foot traffic is sporadic, this could pass on real energy savings to the business. Emergency lighting is also important to consider, and you can now find light fittings with integrated emergency drivers, meaning they will continue to operate in the event of a power outage. These are great for installing on fire escape routes, as they will assure the way out is safely illuminated. Hotel rooms usually contain a mixture of ceiling lights, wall lights, and table lamps, with a variety of different light bulbs and fittings. For ceiling lights, several warm white downlights will provide a bright, focussed light, but may cause a little glare. Non-directional lighting, such as LED GLS bulbs and LED globes, will provide a softer light and can be paired with a shade to match the rest of the room's decor. 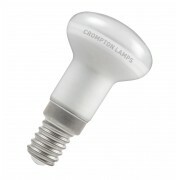 LED candle and golf ball bulbs are generally the most common type used in smaller desk and table lamps. Again, they will provide a softer, non-directional source of lighting, and generally have lower lumens outputs, which will create a slightly dimmer, more relaxed environment. Ensuite bathrooms, however, should be brightly lit. Cool white spotlights and downlights are ideal, as they will provide a nice, bright light. IP-rated fittings will not be damaged when installed in wet and humid areas, offering a reliable lighting solution. There are many health benefits to natural light in comparison to artificial light, and many spas take advantage of this by featuring large, open spaces with plenty of windows and skylights. Cool white and daylight LED lighting will complement this, and will contribute to the clean, vibrant atmosphere that these facilities create. Bright, directional lighting, such as integrated LED downlights, are ideal for this. Smaller spaces such as treatment rooms might benefit from the relaxed, welcoming feeling that warm white lighting can create. Dimmable LED bulbs will provide all the flexibility needed to set the perfect brightness levels, while colour-changing LED strip lights can add a subtle decorative touch without detracting from the overall feel of the room. Whether it's a back office or a break room, keeping staff areas appropriately lit is just as important as the lighting throughout the rest of a commercial premises. A cool white LED downlight or ceiling light is sufficient for small rooms, while staff areas in larger organisations (canteens and restaurants, for example), would benefit from some higher powered lighting. If the space already has fluorescent tube fixtures installed, you can upgrade to retrofit LED tubes easily. Surface mounted battens offer a good alternative, with good lumens per watt ratios and wide beam angles, helping to minimise the number of fittings needed. Signage is one of the most basic ways of advertising a business, so it should always stand out and look professional. LED lighting can help with that. Judicious use of LED lighting can make the whole building front stand out from its neighbours. If you have the space on external walls, install LED wall washers to cast a soft, attractive beam of light across the surface. These will do a great job of illuminating your signage and adding a touch of elegance to the outside of the building. Stylish wall lights placed either saide of the entrance can have a similar effect, while creating a warmer welcome for guests. Make the most of outdoor spaces with some simple decorative touches. LED Wall Washers will cast an attractive glow across surfaces, and will help to make a frontage look more inviting. Don't neglect to add some tasteful seasonal lighting too when the time comes. Adding some string lights to trees or outdoor planters will get guests into the festive spirit.